The Buffalo Bill Center of the West encompasses a research library and five museums: the Buffalo Bill Museum; the Whitney Western Art Museum; the Cody Firearms Museum; the Draper Natural History Museum; and the Plains Indian Museum. First imagined by William “Buffalo Bill” Cody himself, the center has celebrated the American’s West’s unique and enduring culture for nearly a century. The NEH has supported the center since 1978, providing funding to help it reach the public through art, science, culture, and history. NEH support of the Cody Archive has helped the center digitize materials relating to his life and Wild West show. William F. Cody riding a running horse in arena c. 1887. 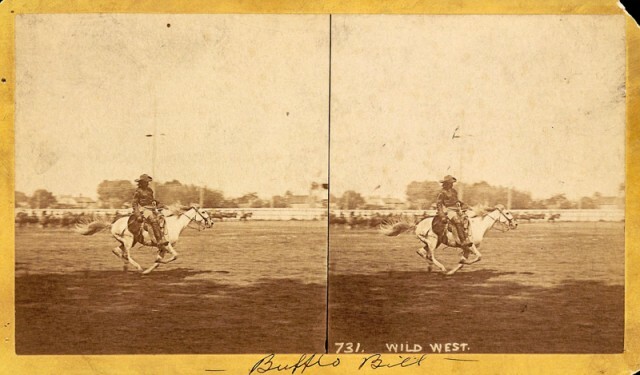 Buffalo Bill Online Archive MS6 William F. Cody Collection. Image courtesy of McCracken Research Library, Buffalo Bill Center of the West. In addition to helping the center assess and preserve its historically-valuable collection, the NEH has funded the creation of permanent and traveling exhibitions that bring Western culture to the American public. 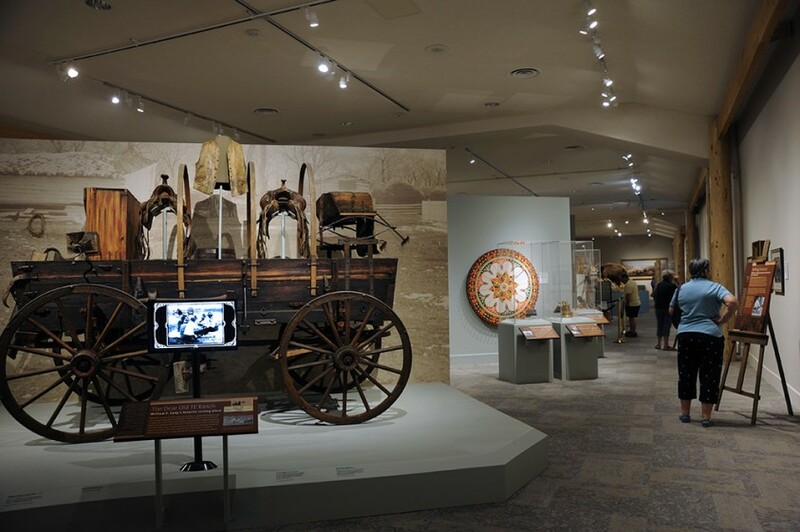 These include permanent exhibitions that examine the American legend’s life, the Wounded Knee massacre, and the popular representations of Native Americans in 19th- and 20th-century culture. Recently, the NEH has supported upgrades and improvements to the Cody Firearms Museum’s environmental controls and fire security systems. The museum, considered by many to be the premier firearms museum in the nation, is currently undertaking a total renovation. Today, the center plays a central role in Cody, Wyoming, serving as a major tourist attraction and welcoming 140,000 visitors per year to the 10,000-person town. The Cody Archive includes early film recordings. Annie Oakley shoots glass balls. Video courtesy of the Buffalo Bill Cody Archive.